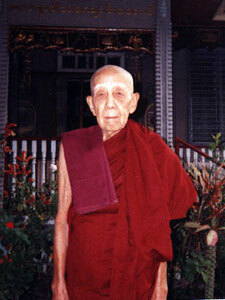 This account is an interpretation of the ABHIDHAMMA by the Venerable U AW BAR THA (born 1909) given to me by him in a monastery near Mandalay, Burma, in 2002.
can only occur when the main citta Bhavanga contacts sights, sounds, smells, taste and touches, is a new fangled notion as Bhavanga is not mentioned in the section of the text on CITTA. What follows is a gist of the main ingredient elements of the ABHIDHAMMA, the highest, most meaningful, and most complete discourse of BUDDHA, showing all possibilities which can occur in the worlds of living beings by different combinations of those elements. HE formulated the discourse in HIS MIND in 7 days, or 168 continuous hours, in the 4th week after enlightenment, then HE spent 7 weeks, one week at each place, at 7 places around the place of ENLIGHTENMENT. HE delivered the discourse verbally in SAVADAINSA, the second storey of the six celestial planes, to HIS mother celestial being in particular, and other celestial beings and Brahmas, in his 7th LENT, the discourse lasting 3 months, or 90 days, or 2160 hours continuously, by human time. As BUDDHA was a human being, HE had to come down to the human world every day for ablution and meals, when HIS DOUBLE continued to deliver the discourse. During HIS daily descent to the human world HE told ASHIN SARIPUTTRA, who was in attendance, the gist of what was delivered in Savadainsa the previous day. There are only four Realities (Paramuttha), viz CITTA (Mind), CETATIKA (Impulse or Mental Volition inside Citta), RUPAN (Matter) and NIRVANNA. The first three are mundane (Loki) Realities, and they will undergo rounds of rebirths, or life after life, in one form or another in the 31 planes of existence in the endless journey called SANSARA, if they cannot understand and practise the DHAMMA (the Buddha’s teachings) successfully to break the chain of Cause and Effect of the Sansara, to realise the fourth reality NIRVANNA. If there are only four Realities, a postiori, everything else is illusion or delusion, and non-existent. The mundane (Loki) Citta/Mind thinks that the inanimate Sun, Moon, planets, mountains, rivers, forests, etc, and animate living beings, human, celestial, Brahmas, animals, etc, are real; whereas they are not! All inanimate objects are made up of Rupan/Matter, which is composed of eight elements: PATAVI, hardness or softness; TEZAW, heat or cold; ARBAW, fluidity; VAYAW, movement force; WUNNA, colour; GANDA, smell; RASA, taste; and OJA, nutrition. These elements form a KLAPA, the size of which is 1/2 332 800 part of a particle of dust floating in the air over a cart track, called Rattaremyu (1/36 of one Rattaremyu is Tissaremyu; 1/36 of one Tissaremyu is Anumyu; 1/36 of one Anumyu is Paramanumyu; 1/50 of Paramanumyu is a KLAPA). These eight elements are inseparable, if one is present the others are also there. The proportions of each element varies according to the objects which they combine together to form. Uncountable trillions of Rupan Klapas gather together to form the Sun, planets, mountains, oceans, icebergs, rivers, forests, etc. These eight elements are also the basis for animate living beings, with further elements added where necessary. In a human being Rupan Klapas with the eight elements form the hair, other bodily hair, toe and finger nails, teeth, skin, etc. For other parts of the human body, the eight elements are supplemented according to the parts of their formation: JIVITA, the preservative element in all Klapas; BHAVA, male element in all Klapas forming a male, or female element in all Klapas forming a female; HADAYA, a hand-cup full of the blood inside the heart; CEKKHU (eye), SOTA (ear), GANDA (nose), JIVA (tongue), KAYA (body) each has PASADA element added to the eight, plus Jivata and Sound, making a total of 18 elements forming the human body. (Pasada consists of exteroceptors to receive and relay the shapes and forms of attractions and distractions found through these organs to Citta). Ten more elements then come into being for the man or woman to function, viz ARKASA, space element between each Rupan Klapa; KAYA VINNYAT, physical activity; VASI VINNYAT, vocal activity; LAHUTA, lightness; MUDUTA, softness; KAMANYATA, wieldiness; UPASAYA, nascence or arising; SANTATI, continuation; ZARATA, old age and decay; and ANISSATA, dissolution or destruction. animate is that Rupan in the former is caused only be OOTO, elimate temperature, and AHARA, nutrition, and is not involved in SANSARA. Rupan in animate beings, however, is initially caused by KAMMA, the law of cause and effect, and is kept alive from moment to moment by CITTA, with the help of OOTU and AHARA (the FOUR CAUSES), and becomes one of the three mundane Realities, undergoing the SANSARA by doing mental, vocal and physical activities resulting in KAMMA. Those who ponder seriously over this brief explanation can conclude that Rupan is not the main or leader element which causes the SANSARA, as the 27, without Citta, will be just a corpse. This Reality is an element inside CITTA, arising with Citta, focusing on the same object as Citta, and dissolving with Citta, at the same time. It cannot come into being by itself separately, and so it becomes clear that Citta is the main mundane Reality, with Cetatika and Rupan taking on the minor roles in causing the Sansara. Although Cetatika is dependent on Citta, it is the element which causes Citta to commit evil, immoral or good moral mental, vocal and physical activities resulting in Sansara. A Citta which has not heard and understood Buddha’s Dhamma is ignorant and lacking a clear idea of the difference between good and evil. A Citta which has heard the Dhamma, and practises it with some success, can shorten the Sansara with the help of good moral Cetakitas by being alert to avoid evil as much as possible, and doing, speaking and thinking good as much as possible. There are 52 kinds of Cetatikas: 7 basic ones associated with all 89/121 kinds of Citta; 6 building up on the basic 7; 14 associated with evil influences; and 25 associated with good impulses (see Appendix). Citta/Mind is a collection of Kammic forces of good and evil mental, vocal and physical activities from countless previous lives, becoming a resultant new present life in one or other of the 30 out of 31 planes of Loki mundane animate existences. Citta is totally suppressed in the remaining plane. Citta is the reality of the so-called life, as the 27 Rupan by themselves would be inanimate without Citta. The life of a human being begins with PATISANDE Citta or conception mind, and ends with CUTI Citta or death mind. In between the two, each of which lasts only a moment, is the moment-to-moment lasting Citta, called BHAVANGA. The lifetime of a human being is the duration of seconds, minutes, hours, days, weeks, months and years that this Bhavanga exists continuously from moment to moment. A moment lasts 3 instants, arising, static and dissolution, and the infinitesimal time between the end of arising and start of dissolution (for example, in the tossing of a pebble into the air the time between the end of the upward motion and the start of the descent), is the time the human is alive. Citta is located in the heart and it rests on Hadaya Rupan most of the time. One of its main functions is consciousness of the body it has built up with Rupan, and all phenomena connected with that body (like seeing, hearing, smelling, tasting, touching and thinking), and loving that body and the name given to it (like Obhassa, Victor, etc), and doing the vanishing trick by becoming an unimportant mechanism of the scapegoats like Obhassa, Victor, etc. The scapegoats, however, are very happy to play the roles assigned to them, and are very proud to become the owner of the little mind, with all its ignorance, craving, attachment, greed, anger, etc, ending as the megalomaniac “I”. Citta thus deluded itself and led the would-be Gautama Buddha a merry chase of countless lives until the last minute before ENLIGHTENMENT, when it became exposed beneath HIS all-knowing wisdom. (12 evil, 18 Aahake Resultants, 24 good moral) Cittas, and their part in forming and breaking the chain of cause and effect called Sansara. This is the 4th Reality and does not mix with the 3 Loki Realities. The cravings, attachments, greed, anger, ignorance, and all other fetters must be weakened and uprooted, stage by stage, from the 3 Loki Realities by successful Loki Vipassana practice, ending at the beginning of Megga path. Then redoubled efforts of wisdom-lead intelligence Lokoktara Vipassana practice will lead to the 4th Reality, in 4 stages as already mentioned in Citta above. The Citta which has successfully completed the 4th stage of Lokoktara Vipassana practice is no longer troubled by the burden of the putrid body, the problems connected with that body, and the attractions and distractions, although fully aware of them. This Citta has created no Kammic forces afresh, and is patiently waiting for the exhaustion of some residual Kammic forces with perpetual calm, peace and tranquillity, an unconditioned element! NB Basically present in all Citta mind consciousness. NB Thriving on the basic 7, these 6 combine with them making a total known as In Nya Sa Man Cetatika. NB Associated with evils, leading mind to evil thoughts, speech and actions, resulting in rebirths in one or other of the 4 nether regions. NB Associated with good, leading mind to good thoughts, speech and action, resulting in rebirths in the higher planes of human, celestial or Brahma worlds. If the good thoughts, speech and actions are not done with Vipassana knowledge, in addition to good rebirths, the delusion of “I” will be weakened slowly with every good thought, speech and action until uprooted totally. Provided it is used in its entirety and due attribution is given, as an act of Dhamma Dana, the copyright holders are pleased to allow free reproduction of this piece in any appropriate form, without prior consent.